Can we use drugs that are commonly used to treat hypertension to treat the progression and recurrence of endometrial cancer? I love learning, and doing research means that I get to learn new things everyday, which keeps me on my toes. I am passionate about improving maternal and infant health - so having healthier pregnancies is certainly a good place to start! As a mother it is scary to think that what you do, or have done in the past, impacts your children so greatly but early-life exposure to poor nutrition or stress (even when in the womb) really can have lifelong effects. The ultimate goal for my research is to improve pregnancy outcomes to improve maternal and infant health. This could be in the form of a new screening tool to detect women at risk of developing a pregnancy complication such as preeclampsia or it could be the development of a new drug to prevent preterm birth. At the moment I am simply trying to understand why some women are more at risk of pregnancy complications than others and identify ways that we can intervene. Develop strategies to improve perinatal outcomes and stop the cycle of chronic disease that is particularly prevalent in Indigenous populations world wide. Associate Professor Kirsty Pringle is a Research Fellow leading the pregnancy and women's research group with the Mothers and Babies Research Centre. Her research looks at the role of the intrauterine (within the uterus), circulating and intrarenal (within the kidney) renin angiotensin systems in pregnancy and how they might be related to complications in pregnancy. Since achieving a PhD in Obstetrics and Gynacaeology from the University of Adelaide in 2008, Associate Professor Pringle has researched the effect of various pregnancy compromises on the healthy development of the placenta. She is now a recognised expert in the field. 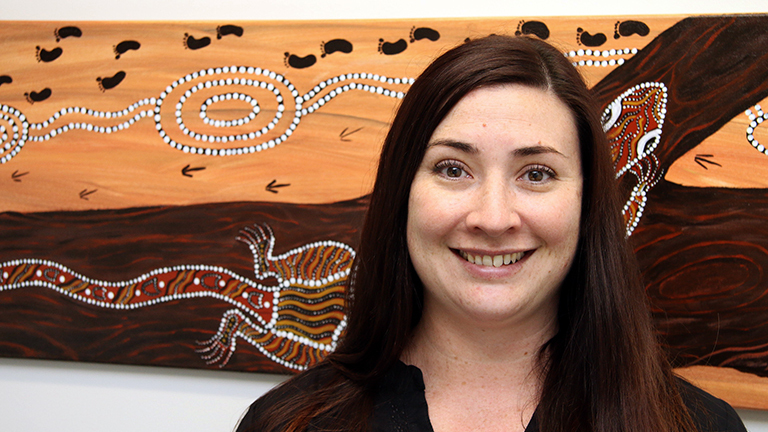 Her current research looks at how the renin angiotensin system may contribute to chronic kidney disease in Indigenous Australians and how this may also contribute to pregnancy outcomes such as preeclampsia and producing a small-for-gestational-age baby. Associate Professor Pringle is also investigating how drugs that block components of the renin angiotensin system may be used to treat endometrial cancer and also how they may be able to improve cardiovascular outcomes in babies born prematurely. In addition, she examines how genetic factors that regulate the renin angiotensin system, known as micro-RNAs (miRNA), may affect pregnancy and the development of the placenta. Associate Professor Pringle is a renowned researcher in the field of reproductive biology and has recently been recognised as the HMRI Pulse Early Career Travel Award recipient (2012) and the Society for Reproductive Biology Early Career Collaborative Travel Award recipient (2013). She is also the current Secretary for the Society for Reproductive Biology and the Chair of the Gordon Research Symposium in Angiotensins in 2016, highlighting her strong contribution and high standing within the research community both nationally and internationally. Associate Professor Pringle supervises PhD candidates and Honours students from the University of Newcastle and is also a regular contributor to undergraduate lecturing duties on the Developmental Origins of Adult Health and Disease (DOHaD) hypothesis and reproductive biology. Chair of the Gordon Research Symposium 2016.